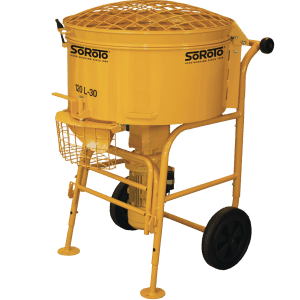 SoRoTo Mixers are the original and still the best mixers in their field. 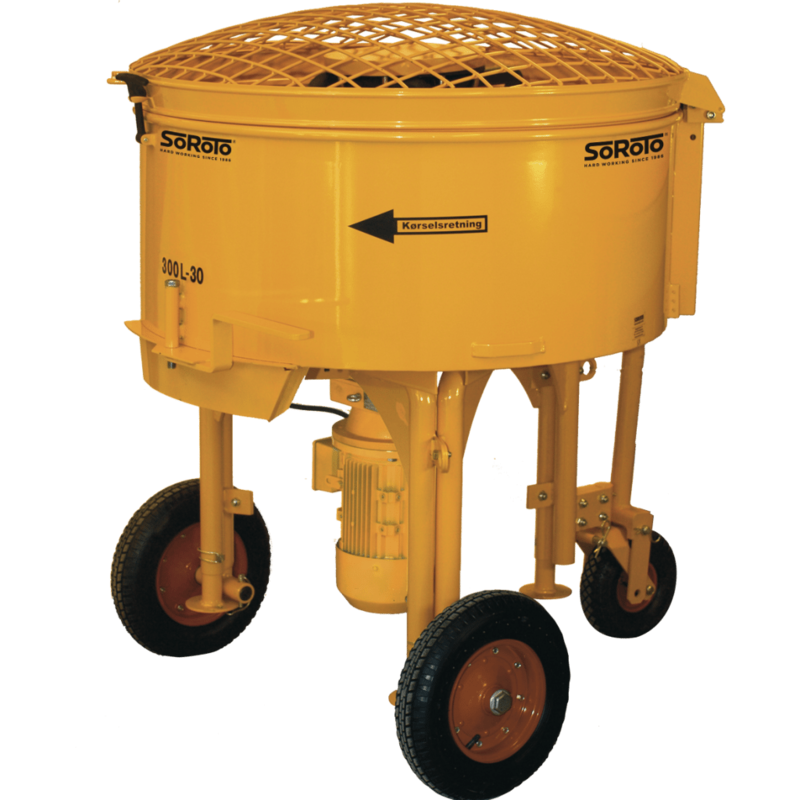 One of the largest mixers available on the market today, the 300L is equipped with three detachable, robust wheels and an adjustable pole making it very easy to transport around a building site. 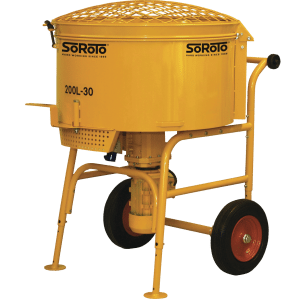 Along with these, the 300L also has three lifting rings to allow the mixer to be moved around by cranes on larger building sites. It is also possible to add a ball coupling to the pole which allows you to tow the machine behind a vehicle. 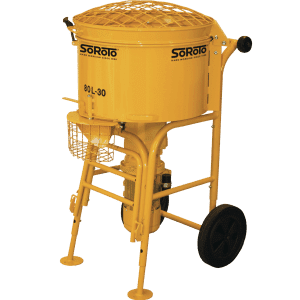 Able to mix up to 700kg of mixture, you are able to prepare vast quantities of material ready to lay in as little as 5 minutes.